Pedro Pegenaute, born in Pamplona in 1977, has worked as a professional photographer specialising in architecture since 2005, when he set aside his career as a building engineer to devote himself fully to photography. Since then, he has worked with architects and publishers (books, magazines, blogs) of renowned national and international prestige. He has received various awards in photography contests recognizing his particular point of view: first prize Colegio Oficial de Arquitectos Vasco-Navarro (2005); first prize "Miradas desde la Arquitectura" (2011) Instituto Alicantino Juan Gil-Albert; finalist "Purificación García 2007" and work selected and acquired to be included in both the exhibits later held at the Círculo de Bellas Artes (Madrid) and the private collection of this brand. Additionally, he has been on the panel of judges for various photography contests. His work has been included in numerous architectural exhibits in cities including Barcelona, Tokyo, Los Angeles, New York, London, and more, and his personal work has been shown in individual exhibits since 2003, when Pegenaute's work began to be acquired by individuals and for private collections. He has also been commissioned to create numerous large-scale murals for interior spaces. In recent years, reflections on "human aspects of architecture", a user-focused look at architecture, and new forms of visual expression have led him to dabble in the audio-visual field, creating videos that reflect his essence as a photographer. 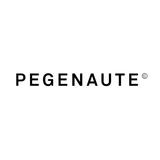 In 2011 he founds Pegenaute Studio.